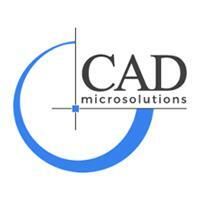 Free Certified SOLIDWORKS Associate (CSWA) Training &amp; Exam! Under ‘Learning Paths’, find the ‘CSWA Exam Prep Course’ and click +ADD. The CSWA Exam Prep Course should now be listed under Training>My Learning Paths. Take advantage of this offer today and register now on My.SOLIDWORKS.com to get started! Note: This offer has a value of $100. You will be able to take the CSWA exam only once with this code. If you do not pass, you will have to pay for the exam going forward.